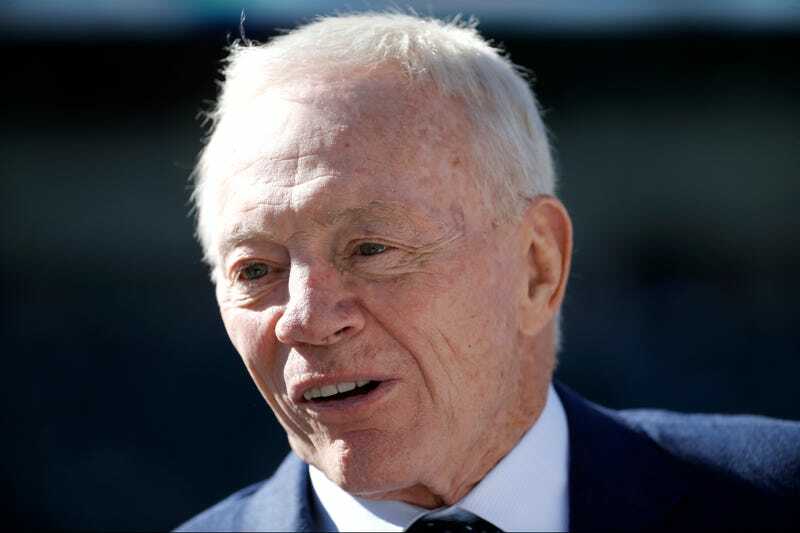 Dallas Cowboys owner Jerry Jones released a statement tonight reiterating the team’s support for defensive end Greg Hardy after Deadspin published an account of Hardy’s alleged assault of ex-girlfriend Nicole Holder. That story was based upon hundreds of pages of police reports and court documents, many never before seen, as well as dozens of photos of the injuries Holder allegedly suffered at the hands of Hardy. Jones and his son Stephen—the team’s executive vice president—have both said that they want to sign Hardy to a long-term deal.